We introduce a new beauty treatment using the methods of ANG Cosmetics and Team Dr. Joseph. During this treatment we use a special collagen mask. When you need a boost and your goal is to slow down the ageing process of your skin then this treatment is for you! Perfect to receive a beautiful glow before you attend a party, a wedding or a date. This treatment is suitable for all skin types. We start with the skin analysis together with you to determine which products are suitable for your skin and your goals. The treatment involves warm herbal compresses, a soft peeling and the (popular) cleavage deep tissue massage. 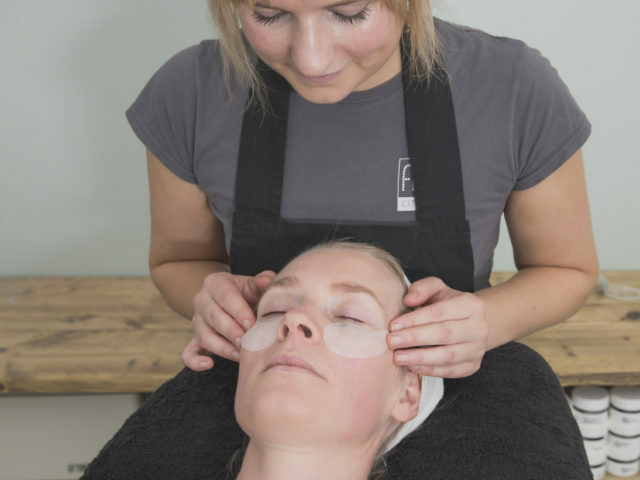 The collagen mask is applied and while the mask is doing its miracle work you can enjoy an extensive head, neck and shoulder massage with a choice of a foot or hand massage afterwards. Finally we will apply the products which suit your skin type and goals. We recommend to book the Collagen Boost treatment every 6 weeks for a long-lasting and beautiful result.